The Anne Claire Petit Collection is made by using different threads and crochet techniques. It enables the designer to create modern objects for the contemporary home, each time redefining traditional handiwork. Anne Claire Petit toys are enjoyed as much by kids as by grown-ups. 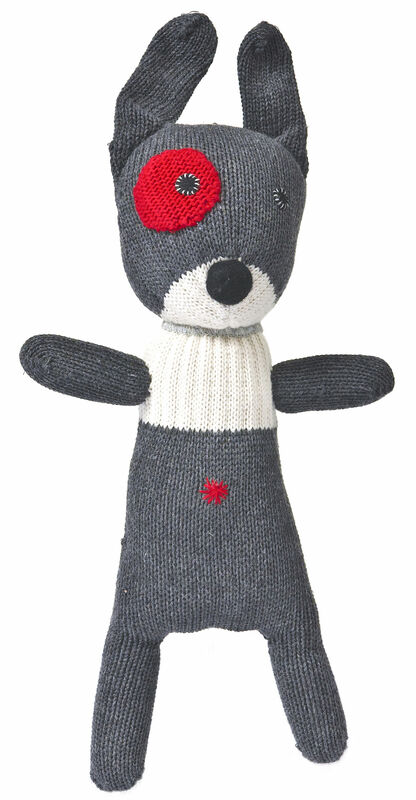 When Anne-Claire designed her very first bear in 2002, she could not have imagined the succes of her crochet animals, nor the extensiveness of her present toy collection. Organic cotton is used where possible for the production of our toys. All toys are tested and certified. The music boxes, plaids and rattles are all hand made and unique, therefor making them the perfect baby gift!